There are numerous building code violations that most homeowners are not even aware exist. These are common “mistakes” that are made, not on purpose but rather, due to a lack of knowledge and awareness. The City of Waupaca has compiled a list of the most common, routine violations with suggested tests in the hope that people can be more aware of their surroundings and live safer in their homes. 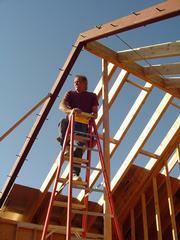 Building codes go a long way to assuring living in a safe house. But unless homeowners check, one never actually knows whether something needs upgrading to meet the current code. This is especially true when when moving into a new home. Some common, and potentially dangerous, building code violations are hard to locate and even harder to fix because they exist behind finished walls. These include improper framing, excessively cut and notched studs and joists, and inadequate connections between building materials. However, the following common violations are easy to find. 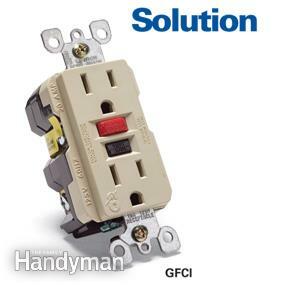 Ground-fault circuit interrupter (GFCI) protection is now required for outlets in the kitchen, bathrooms, unfinished basements, garage, and for all outdoor circuits. It cuts power to a circuit if it detects a current change, protecting against electrical shocks. 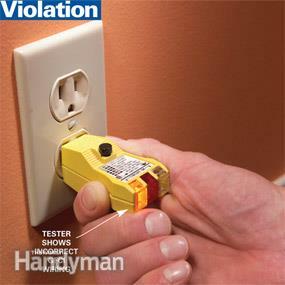 Test for the presence of GFCIs by plugging a GFCI receptacle tester (about $15 at home centers) into an outlet in each of these areas (photo “violation” below). It will detect whether there is a GFCI on the circuit and other wiring problems, such as reverse polarity and open grounds. A GFCI tester detects a bad GFCI as well as other wiring problems. Bathroom exhaust fans should vent to the outside—either through the roof or the side of the house—not into the attic (photo “violation” below). Look in the attic to see how it is vented. Venting the warm, moist air into the attic can cause rotting in the roof framing and sheathing, and may not properly rid the bathroom of moisture leading to mold and mildew. Venting to the attic places a lot of moisture into that space. In cold weather the moisture will condense on the underside of the roof, dripping into the insulation and potentially causing rot. 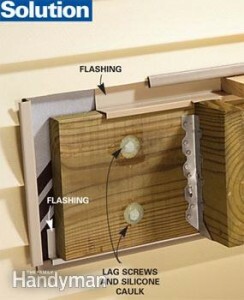 Flashing needs to be installed between the deck ledger board and the house, and the ledger needs to be firmly attached (photo “solution” below). Building inspectors often find incorrectly installed ledgers are the main cause of problems in do-it-yourself decks because the ledger may pull loose from the house. 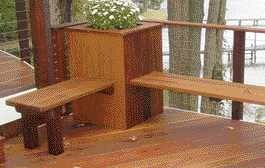 These decks can collapse especially when a large amount of weight is placed on them. The deck/house joint is a common place for rot. Not only will the rot weaken the deck, it will also weaken structural members in the home which will require an expensive repair. It is common to see decks that are not built to code — despite the plan review process, (the purpose of which is to identify any code issues before construction commences). However, field changes are common, so an inspector is likely to find a different deck constructed at the site than what was detailed on the permit. SPS 321.10 (1) requires all structural elements exposed to weathering to be protected against decay, which usually means using preservative-treated lumber. This is a simple issue, usually noted on the plans and reiterated by the permit staff, but inspectors often find a completed deck built of standard-grade lumber. The contractor or owner must then apply an approved on-site treatment to the open and exposed ends and paint the rest to bring the deck into compliance. 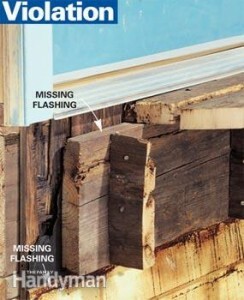 Untreated lumber, or above-ground-certified lumber (30#) used in ground contact (60#), can trigger a failed inspection. Always check for appropriate treatment levels. In recent years, insufficient attachment — which includes the use of non-weather-resistant fasteners — to the existing structure has caused several decks to collapse. Fastener specifications are not usually called out on the construction plans. Inspectors often find undersized nails or untreated nails that will be nothing but rust in a year. To resist corrosion, all fasteners used in deck construction must be hot-dipped zinc-coated galvanized steel, stainless steel, silicon bronze, or copper. Joist hangers and anchoring straps are subject to the same requirements as fasteners. 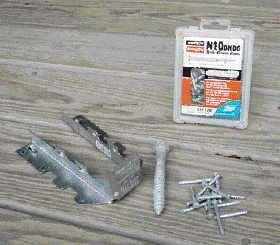 SPS 321.10 (5), specifies the correct type, size, and number of fasteners required in treated materials. All structural beams and girders must be constructed with multiple 2x4s to 2x12s, with the depth and the number of layers of the members determined by the span and spacing. Solid lumber such as a 4×4 or a 4×6 can no longer be used as a beam. Most beams must be built up from layers of 2-by material. Composite decking materials are becoming very popular, but many have been tested and approved for installation on joists spaced 12 inches on center, not 16 inches or 24 inches. This will need to be checked with the individual manufacturer’s specifications. Deck joists often cantilever beyond the outer girder. The old-school rule of thumb was that as much as one-third of the length of the joists could cantilever beyond the beam. However, in the mid 2000’s the building codes reduced the allowable spans for most softwood lumber because of declining material quality. Consequently, cantilevers should not extend more than 24 inches beyond the beam unless by specific engineered design. Whether attached to the existing structure or freestanding, all decks are required to be anchored against uplift and braced laterally to prevent racking and the deck from becoming a projectile in high winds or an earthquake. Deck footings or piers and their posts not only support normal loads, they also help provide the needed uplift resistance. Concrete footings, at or below the locality’s frost line, can be as basic as a pad in the bottom to support the column, with stone backfilled around it, or a solid-concrete pile with an anchor bolt installed on top to hold the column in place. Frost footings do more than support the deck’s downward load, they also anchor it against wind uplift. A positive hardware connection between the footing and the deck is needed. in the concrete block. To meet the uplift anchoring requirements, straps or augers are also required. If using precast footings, be sure to determine what additional equipment or devices are needed. Ready-made footings such as the Dek-Block speed up the construction of free-standing decks, but do not provide uplift resistance. Easily engineered auger and cable tie-downs can answer that need. Many owners do not want a guardrail to affect the view from their deck. A typical question is can benches or planters act as guards. SPS 321.04 requires a guardrail for porches, balconies, and other raised floor areas where the floor surface is more than 24 inches above the adjoining grade. Required guardrails cannot be less than 36 inches in height. 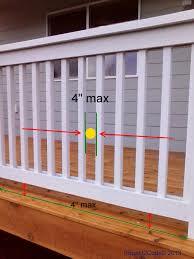 The guards are to be constructed with infill rails or balusters no more than 4 inches apart. A bench can be installed against a guard, but if the deck is more than 24 inches above grade a flat bench cannot be the guard. Railings need be no higher behind a bench than anywhere else, but a bench alone cannot serve as a guardrail. Porches and decks enclosed with insect screening, if 24 inches or more above grade, must also have guards. Handrails are not guardrails, although the terms are often thought of at the same time. Per SPS 321.04, a handrail is required when there are three or more risers in the stair run. When the stair is more than 24 inches above grade or above the floor below, a guard is also required. A compliant handrail is either circular with a minimum 1 1/4-inch and maximum 2-inch diameter or 2-7/8” maximum cross sectional dimension. 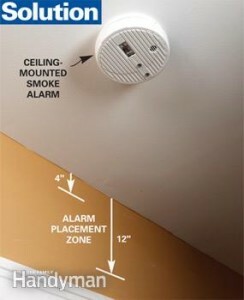 Codes (SPS 321.09) require a smoke alarm on each level of the house and outside each bedroom (photo “solution” below). Codes require new homes to have a smoke alarm in each bedroom, hard-wired with a battery backup, and interconnected so if one activates they all go off. Ceiling-mounted alarms should be installed at least 4 inches away from walls and wall-mounted alarms 4 to 12 inches down from the ceiling. Smoke alarms are critical life-saving devices in case of fire. Position them according to directions. Note that these can be battery operated if placed in existing construction. If new construction, they must be hard wired with a battery back-up and interconnected. The purpose of smoke detectors is to wake residents if there is a fire so that one can respond appropriately. Some people incorrectly install them in kitchens. If possible, it is also wise to place them away from bathrooms as steam from showers can inadvertently set them off. Carbon Monoxide detectors are required by code and applies to new and existing homes. All existing dwellings as of April 1, 2010 need to have carbon monoxide detectors installed. 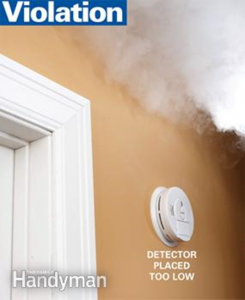 SPS 321.097 covers the installation of carbon monoxide detectors. Dual purpose detectors are available for compliance when both are required in a certain areas. Interior Garage Doors: SPS 321.08 Openings between garages and residence shall be a 20 minute fire-rated door and frame assembly. It is common to see homeowners replace these doors with Patio doors, doors with a window in them, or even cut “doggie doors” into these types of doors. This is NOT allowed. Once altered, these doors do not provide the proper fire separation between your garage and house and will cause fire to rapidly spread between areas. Remember, most house fires start in the garage! Dryer Vents: Dryer vents must terminate to the EXTERIOR of the building. 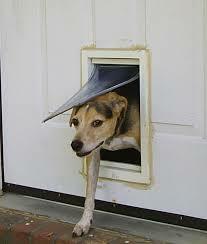 Most often, dryer vents are vented directly into the garage. Whether the appliance is located inside the garage or inside a utility room, the venting of these units must be routed directly to the exterior of the building. Some residential units vent directly under the house in crawl spaces, directly into the attic or soffit areas, and even directly into the garage. Not only do these conditions add more moisture to these areas, hence accelerated rotting and insect infestations, it also creates a fire hazard with the buildup of lint. The laundry room is one of three areas in a home, along with the kitchen and bathroom(s), where a mechanical contractor installs exhaust vents. In the laundry area, an exhaust duct running to the exterior is installed to remove heat and moisture from the clothes dryer. The exhaust vent also removes combustion gases if the dryer is fueled with propane or natural gas. Removing moisture from the home is one critical function of exhaust vents. Moisture must be exhausted from the laundry area to protect interior finishes, drywall, lumber, and other sensitive building materials. 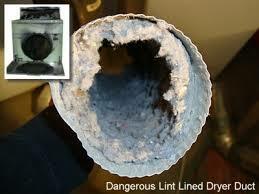 Removing heat from the dryer is also very important as the dryer can start lint fires. 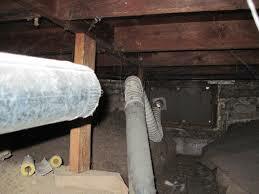 Codes typically require that the dryer duct be no more than 25 feet long. It should be 2.5 feet shorter than 25 feet for every 45-degree bend and 5 feet shorter for every 90-degree bend. 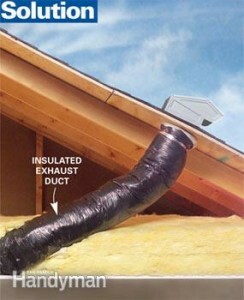 If the duct is more than 25 feet in length, the system requires a booster fan or a high-output dryer. Ducts should be smooth metal with a minimum diameter of 4 inches. Flexible ducts should not be used, since they collect more lint and can easily be crushed, impeding airflow and potentially starting lint fires. The ducts should not have screws or connectors, which can collect lint and block the flow of combustion gases. 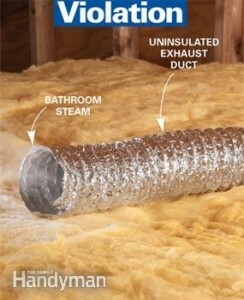 Backdrafting can occur if the ducts are blocked, sending harmful carbon monoxide back into the home. The male ends of the duct should face the direction of the airflow. The duct exhaust must not mix with or pass through other systems, such as the return-air plenum, because heat, moisture, and combustion gases could mix with the conditioned air in the home. The dryer exhaust duct should vent to the outside and the vent should be at least three feet from any other opening. The vent should also have a termination cap and damper to keep vermin out of the home. There should not be a screen over the opening, since it could trap lint and cause a fire. The installation of a dryer box eliminates the bunching of the flexible connector duct behind the dryer. Guardrails SPS 321.04 (3) required where walking surfaces are greater than 24” from grade. Guardrails must be a minimum of 36” high and have openings less than 4” in diameter. This code requirement applies to decks, porches, balconies, patios, and any areas directly connected to the dwelling in which this code is being applied. 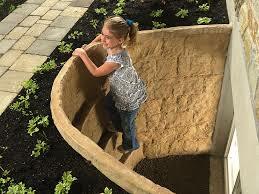 It does not apply to landscaping or other hard scape areas of a yard that are secondary to the dwelling (ex. terraced landscaping, driveways, walkways). Many times front porches are in total violation of this code. If there are more than 3 steps up to a porch or landing, then more than likely guardrails are required to be encompassing the porch. It is also possible handrails on the open sides of the stairway may be required as well. Minimum Light and Ventilation: SPS 321.05 all habitable spaces (except kitchens and bathrooms) are required to maintain a minimum of 8% light and 3.5% ventilation of floor area of the room they service. Bathrooms may have a mechanical means of ventilation (exhaust fan in lieu of a window) with .35 air changes per hour. This pertains to the minimum size of windows (light) and open able area (ventilation) in the home. Severe violations often occur when homeowners replace existing windows, either by modifying the original opening or changing the style/operation of the window itself. Many times, homeowners decide to change the type of window when replacing them. For example, changing from a casement window (crank out type) to a single hung (slide up and down) style of window. This change might seem insignificant, but such an act would reduce the ventilation by 50%. Another inadvertent violation is when a homeowner decides to put picture windows (fixed glass) in a room. Such an act might remove ALL of the ventilation in that space. Do not depend on a window salesman to know what is appropriate. They may not have even been to the house or may have failed to measure the rooms for compliance. Often times the salesman will have fine print in their contract stating that they are not responsible for code compliance. READ YOUR CONTRACT; be an informed and wise consumer! EGRESS: SPS 321.03 (5) Sleeping rooms must have at least 2 means of egress. Maximum sill height is 46” from the floor. Minimum opening is 24” by 20” clear opening either direction. Any egress window exiting below grade shall be provided with an area way at least 36” deep and equal to the width of the window. Insulation certificate not posted at final inspection. 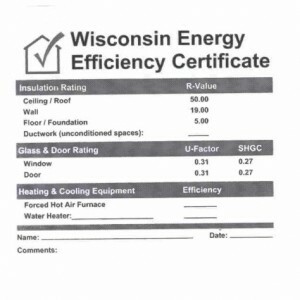 On a residential dw elling project, the UDC Energy Code SPS 322.20 (6) requires a certificate of insulation be posted in a conspicuous location on or near the (electric panel box) by the installer, builder, or owner indicating the amount and R-value on the insulation installed. This certificate is found on the last page of the REScheck heat loss data sheets.